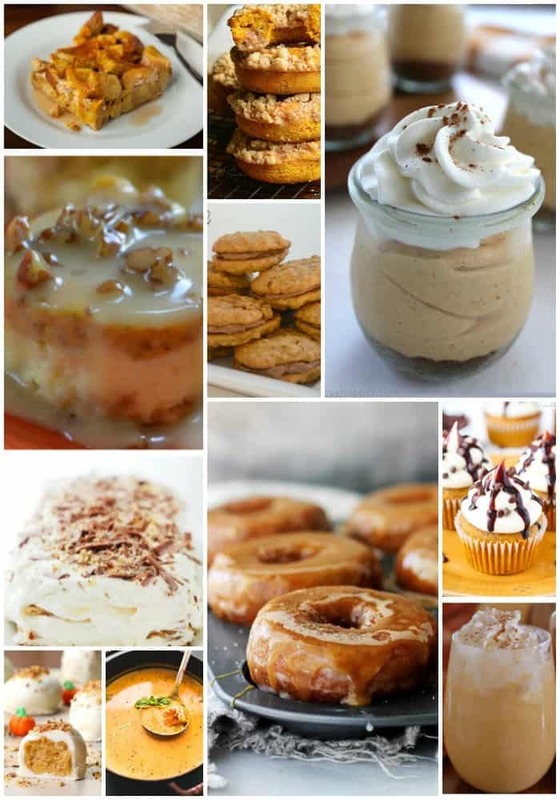 A DELICIOUS COLLECTION OF SOME OF THE BEST PUMPKIN RECIPES THAT FALL HAS TO OFFER. THIS ASSORTMENT HAS SOMETHING FOR EVERYONE INCLUDING PIE, CAKE, BREAD, SOUP, CHEESECAKE, MUFFINS, COOKIES AND MUCH MORE! Fall is my favorite season and pumpkin is one of my favorites fall fruits to cook with. It is so versatile and adaptable to so many phenomenal recipes. I hope you enjoy this selection from some of my favorite bloggers and myself. 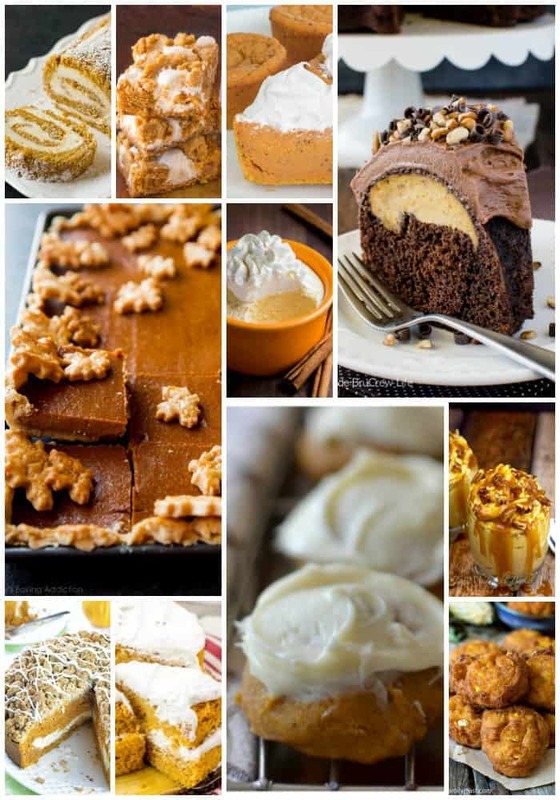 I know it is the middle of August but fall is knocking right on our door and is there any better way to celebrate than with a fine collection of some of the best pumpkin recipes. The kids are headed back to school and soon the evenings will be cooler. The trees will start to change color if they have not already done so and brightly colored beautiful mums will replace summers worn out annuals. I can’t wait! 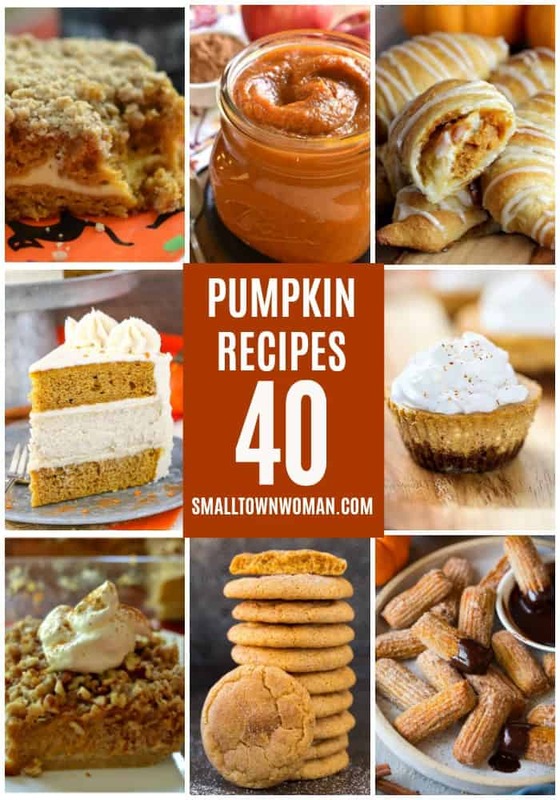 It is my favorite time of the year and I absolutely love baking pumpkin treats. 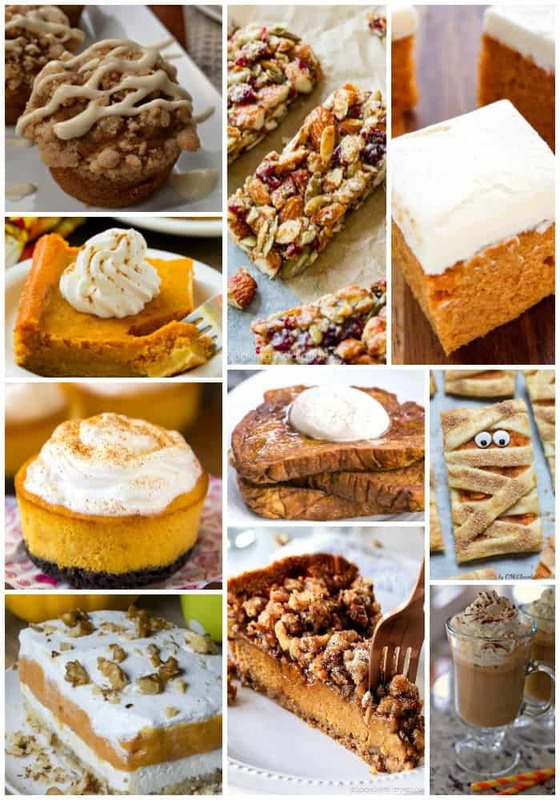 This is a wide collaboration of pumpkin recipes so I am sure that you can find several things in here to suit your taste and tickle your fancy. Yes you most certainly can. Most recipes call for one (15 ounce) can of pumpkin puree which is just shy of two cups. I love to cook with the smaller pie pumpkins as they have less moisture and they are generally sweeter. Just cut that pumpkin from the stem down. Remove the seeds and lay pumpkin cut side down or cut side up in a baking dish. Bake 350 degrees for 45 minutes our until tender. Scoop out the insides and discard the skin. Puree in a blender or food processor. Store in an airtight container for up to 5 days in the fridge or place in heavy duty freezer bags and freeze for up to six months.